Now, I’m a little unconventional on how I measure and apply my borders and corner blocks. So, I completely understand if you want to use your own method of accurate measuring. The borders are basically 3 strips of fabric sewn together alternating dark, light, dark and then 4 corner blocks. 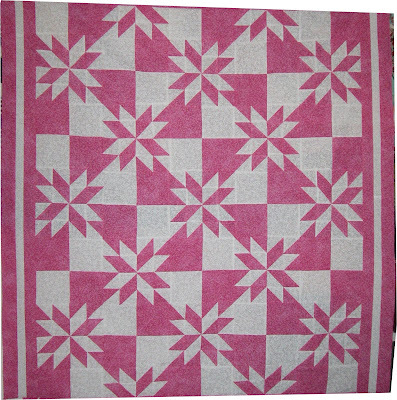 If you are continuing to follow from part 1 instructions, you probably already have your half square triangles for the corner blocks cut out and sewn together to make the half square triangle squares such as the one pictured below image7. You should have 16 of these created from sewing the 16 light half square triangles with the 16 dark half square triangles cut and set aside for the corner blocks. border strips (2) 2" dark strips and (1) 1.5"
I like to cut my border strips too big for the quilt. I like to be safer than sorry and anything that is left over, I try and add to the back of the quilt or use somewhere else like a pillow or something. 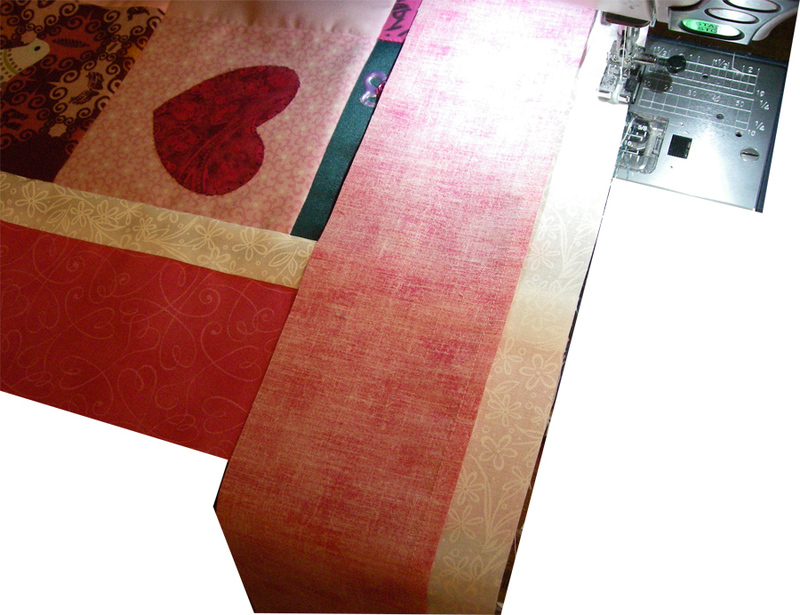 I currently do not own the strip cutter dies for the AccuQuilt Go product. If you had the 2” and the 1.5” strip cutter dies, this would work great for you as well. So, if your finished center measured approximate 50+” long and approx. 41+” wide, this is how I generally measure it. 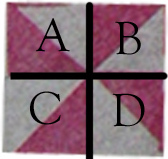 Since I have two strips of dark on each side of the border, I would cut 3 strips of dark fabric the full length of my fabric width for each side of my quilt. This ends up being 12 strips of the dark fabric cut in total. This was not scraps. The fabric width is usually anywhere from 41-43” long. I cut 4 strips in half and join each half piece to a full size piece. This gives me approx. 8 strips at about 61” each of strip. I know I’m about 10-20 inches too long. However, I like to use the extra on the backs for use on a pillow in the future. 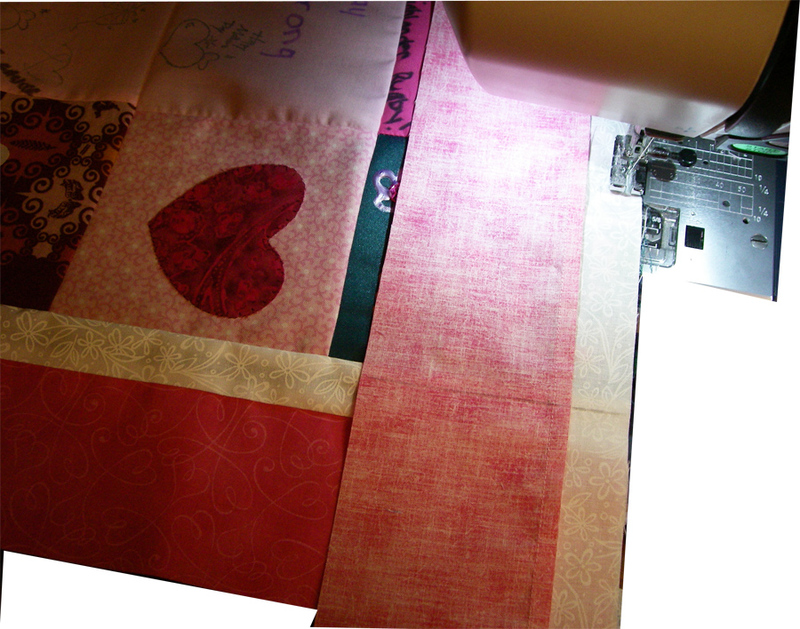 Since I only have 1 strip of light fabric on each side of the border, I would cut 6 strips of light fabric the full length of my light fabric width for the whole quilt. Again, this was not scraps. The fabric width is usually anywhere from 41-43” long. I cut 2 strips in half and adjoin each half piece to a full size piece. This gives me approx. 4 strips at about 61” each of strip. I know I’m about 10-20 inches too long. I like to use the extra on the backs for use on a pillow in the future. Each side has 3 strips (2 dark and 1 light) 1.5 times the length of your fabric width. Or approximately 60” long. 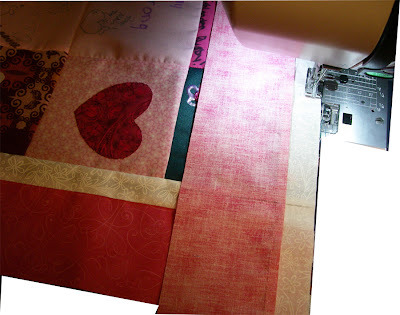 Sew one light strip onto one dark strip right sides facing each other. Open and iron the seam to the dark side the whole length of the strip. Now attach the second dark strip to the open side of the light strip with right sides facing each other. 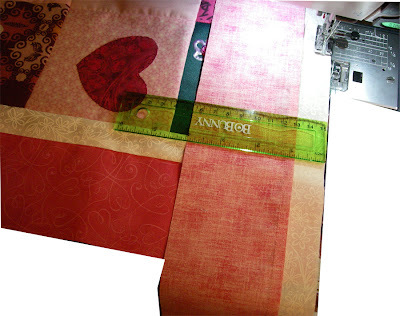 Sew the full length of the strip using a ¼ inch seam. When completed, open and iron the new seam to the dark side of the fabric. Your top and bottom of the strip will look like the sample below in image8 and image9 below. The borders should measure 4.5 inches wide when completed as in image10. 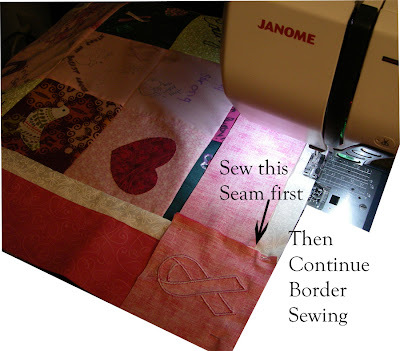 Repeat this process 4 times to create a side border for each side of the quilt. Once ironed, set them aside. 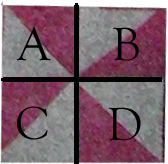 In both cases, flip block B onto block A and sew right sides together on the right side. 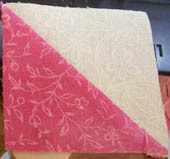 Flip block D onto block C and sew right sides together on the right side. You end up with two rows for each block. Reposition rows to match the photos above. Flip AB row onto CD row and sew right sides together. 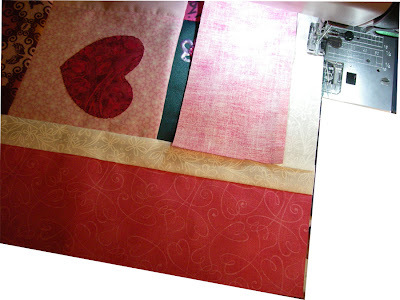 Make sure to match up your seams and sew the right side to produce the matching blocks. You should repeat this until you have 2 complete blocks to match image11 and two complete blocks to match image12. Your blocks should finish out at 4.5” square. I add the left and right side borders first. These are straight basic seams adding the border to the quilt right sides together. 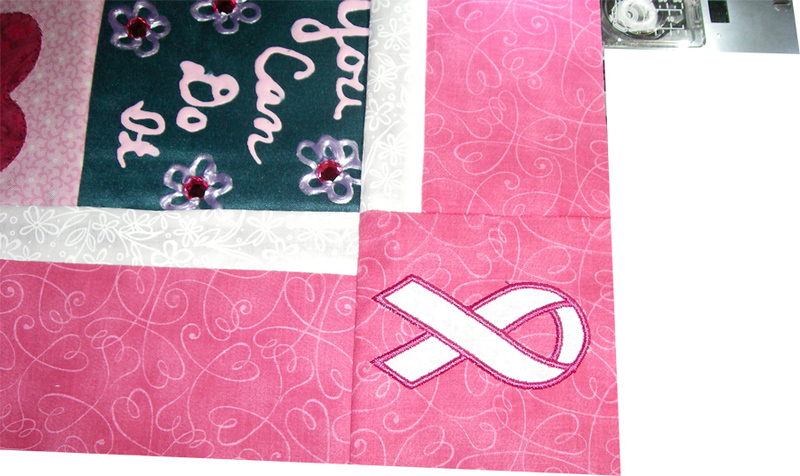 Trim the top and bottom edges of the added border even with the quilt center. On the last two borders (top and bottom), I trim one edge on each border to have a straight edge to sew one of the corner stones to. I leave the rest of the border length and end alone. I only use one pin on the seam of the attached corner block to make sure it lines up with the seam of the left border. 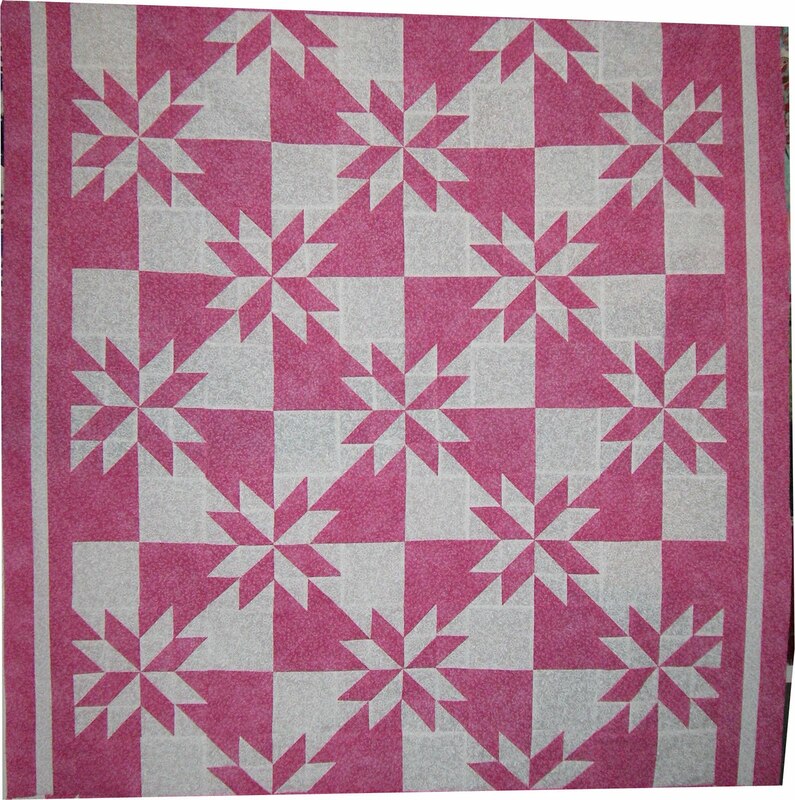 PLEASE NOTE: The following photo examples are from another quilt I was working on. I did not take pictures when I added the borders to my hunter’s star quilt. However, the process is still the same. I stop sewing the top border all the way across the top and stop about 3” away from the right side seam where the corner block should be. I then measure with a ruler to mark ¼ inch past the right border seam to know where to trim my newly added top border. Then I trim the newly added border on the line just marked. I usually just cut with scissors while sitting at the sewing machine. Next, I pin the last corner block for the top border to the newly trimmed edge. Reposition this newly added block under the machine and sew the corner block on to the attached border. This is why I leave about 3” not sewn on the border. 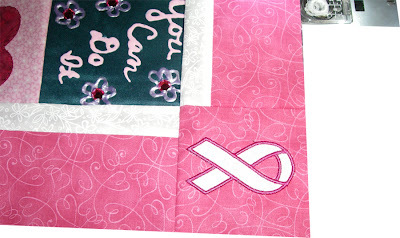 It allows me to rearrange the quilt to get the border block under the needle to sew. Then I realign my border to my quilt with the newly attached cornerstone, pin the seams and continue sewing the rest of the border on. When the top border is attached, you’ll see the corner blocks match up perfectly. REMEMBER: The border photo examples are from another quilt I was working on. I did not take pictures when I added the borders to my hunter’s star quilt. However, the process is still the same. Repeat for the bottom border. However for the bottom border, I start on the right side of the quilt first. This allows me to have the border on the top of the quilt when I sew and the quilt bulk is to the left of my machine. Just a preference of mine. I try and use the excess border strips for the back of the quilt or a matching quilt pillow. I hope these instructions allow you to make a hunter’s star quilt as well. If you have any questions or corrections, please feel free to contact me. sewcalgal linked me here for your hunters star pattern ... i had lost mine like this and was delighted to find it here. thanx muchly! i'll put it back on my to do list.